Aroon (Rai) restaurant is conveniently located in the heart of Chiang Mai close to the old quarter wall. 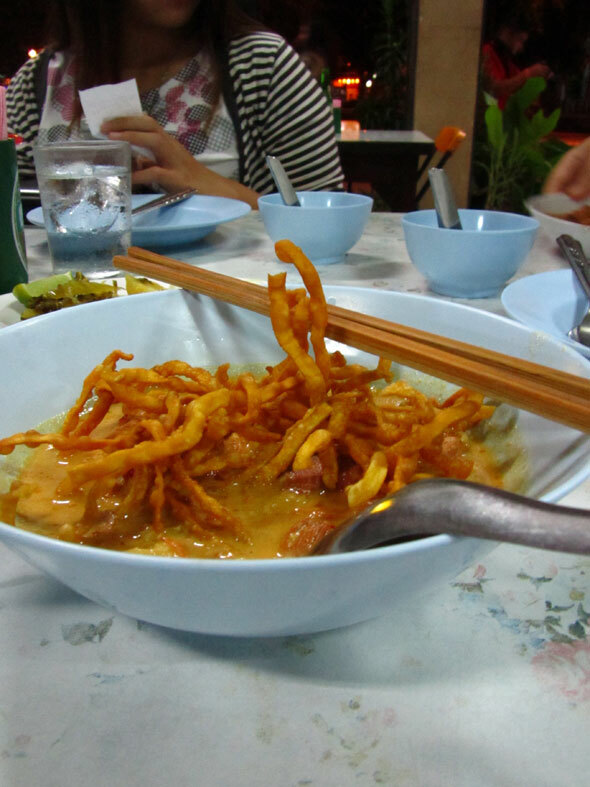 The restaurant serves an impressive array of all Thai dishes and specializes in Northern dishes like khao soi ข้าวซอย (noodles in curry gravy) and gaeng hanglay (Thai Northern curry). 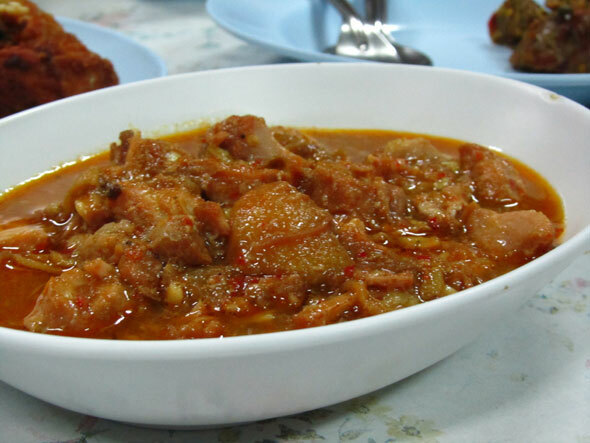 Normal Thai restaurant prices. 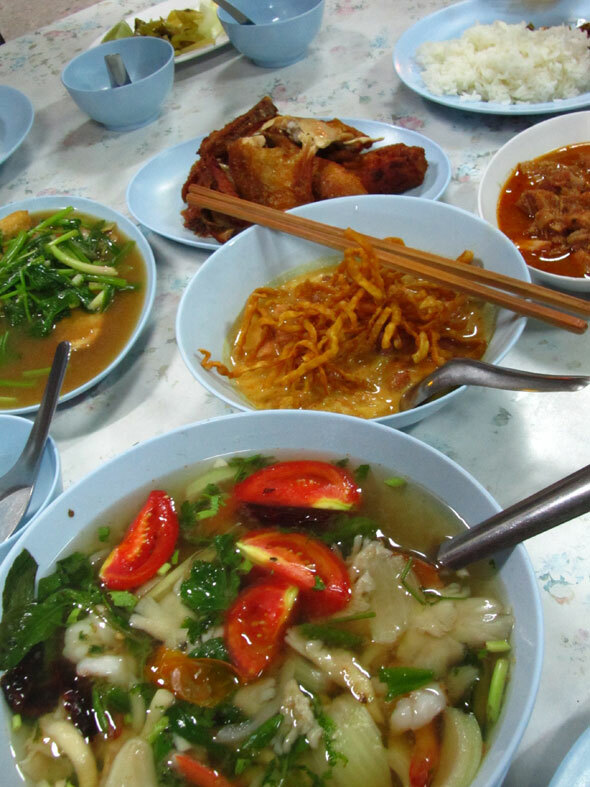 Dishes run from about 40 – 60 baht and a full meal spread should cost around 80 – 100 baht per person. I stopped in for a quick dinner and was happy with everything I ordered. The tom yum goong was slightly over salted, but the khao soi and gaeng hanglay were impressive. 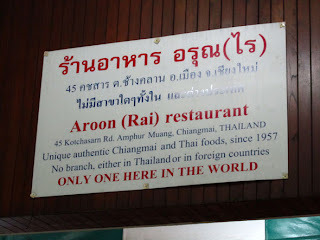 If you happen to be in Chiang Mai this is a great restaurant to enjoy!